Troy Barrios joined the real estate business in 2011 after many years in the retail industry. His strong commitment to customer service enables him to excel as the buyer specialist for the Barrios Real Estate Group. As a team member, Troy has received top sales awards from Keller Williams New Orleans and Keller Williams Realty International. 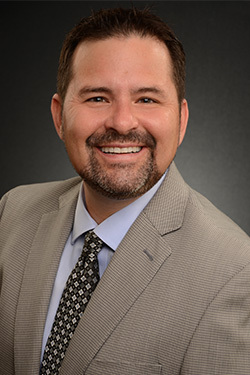 Troy is dedicated to helping his clients find their dream home and working with them throughout the sale process in order to negotiate the best deal possible. He walks them through step by step and provides the highest level of support throughout. Troy has over 17 years of retail experience, specifically in the home improvement market. This allows him to provide unique insight to his clients on topics such as potential repairs or upgrades and how they affect a home’s value. Troy knows what to look for when touring properties and he expertly shares this knowledge with clients. Troy truly enjoys participating in community outreach events. He has participated in home builds with Habitat for Humanity, tree plantings with the Irish Channel Neighborhood Association, multiple projects with Keller Williams Red Day, and many more. He has even been known to roll up his sleeves and pitch in to help his clients work on their new home! Troy was born and raised in New Orleans and has lived all over the metro area. He has a diverse perspective on the many great neighborhoods that his native city has to offer. Troy loves to study the history and architecture of New Orleans to be able answer any questions his clients moving into the city may have. He considers himself an expert on the New Orleans food scene as well, constantly trying out new places with his wife Alison. With Troy, his clients will not only find the house of their dreams, but they will also know the culture, cuisine, and everything in between. Updated: 22nd April, 2019 10:05 PM.